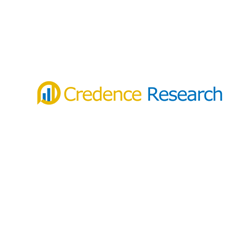 The latest market report published by Credence Research, Inc. “Global Veterinary Wearable Devices Market – Growth, Future Prospects, Competitive Analysis, 2018 – 2026,” the global veterinary wearable devices market was valued at US$ 1,325.3 Mn in 2017, and is expected to reach US$ 3,704.6 Mn by 2026, expanding at a CAGR of 12.1% from 2018 to 2026. Sophisticated technology such as RFID and GPS devices are linked with smart phones which helps veterinarians, farmers and wildlife authorities to determine the animal health. The wearable devices are tagged on animals via collar attachment, harness attachment or directly embedded in the animals to monitor and track its social activities. Animal surveillance is of prime importance as they are an integral part of the biosphere and have a direct & consequential impact on human life. Identification and tracking are leading the application segment for veterinary wearable devices market. Significant growth in cattle breeding & rearing and need of the hour to maintain cattle inventory drive the identification and tracking application market growth. They are employed in tracking lost and stolen animals. Medical diagnosis and treatment application will register impressive growth in the near future owing to rising prevalence of zoonotic disease and burgeoning requirement to improve pet life. Wearable devices set calorie goals for animals and send mobile alerts if any abnormality is detected in animal health. RFID is currently reigning the technology segment for veterinary wearable devices market. The primary features responsible for its dominance are its popularity among farmers to tag farm animals in order to identify them according to their medical history and pedigree. It is being extensively used by forest and wildlife authorities to manage and preserve endangered and exotic animal species in wildlife sanctuaries and habitats. GPS devices have gained tremendous attraction on account of its ability to create virtual boundaries for the roaming of livestock and understanding of travel habits and migratory patterns of wild animals. Biosensors are being developed and embedded in animals to monitor their vital health statistics to perform diagnosis and early treatment of ill animals. North America presently represents a market share of 45% and is the largest regional segment for veterinary wearable devices market. Increasing awareness of sophisticated technology and rampant growth in cattle breeding drive the market growth in North America. Domicile of major players such as Garmin International, Inc., FitBark, Inc., Whistle Labs, Inc. etc. further consolidate the veterinary wearable devices market growth in North America. Europe with a market share of 30% is the second largest market owing to the increasing demand for meat and dairy industry and increasing pet adoption. Asia Pacific represents 10% market share and will be the fastest growing market during the forecast period from 2018 to 2026 on account of increasing communicable animal disease and huge population base of milch cattle. It serves as an important business destination for market dealers to promote business expansion by establishment of retail outlets and subsidiaries. Wearable device manufacturers specializing in veterinary health are FitBark, Inc., Garmin International, Inc., Inovotec Animal Care, Lamdagen Corporation, Milkline, PetPace, LLC., Tractive, TekVet Technologies Co., Vital Herd, Inc. and Whistle Labs, Inc.
Kommentar hinterlassen on "Global Veterinary Wearable Devices Market Is Expected To Reach US$ 3,704.6 Mn by 2026"